Over time our teeth begin to weaken and become more susceptible to problems such as decay, cracks, and discoloration. If you feel your smile isn’t what it once was, crowns can help you recover your smile. If your dentist notices that a tooth is decayed or seems weakened because of a large existing filling, a crown may be recommended as a preemptive measure before a tooth with a large filling fractures, requiring an emergency root canal treatment and subsequent crowning. In cases like this a filling or bonding will not be sufficient. Crowns can be made from various material including porcelain, porcelain fused to metal, lithium disilicate, or zirconia. All these materials can mimic natural tooth structure and can be matched to the shade of your other adjacent teeth. The process of crown fabrication takes 2-3 visits, during which time a temporary crown will be placed over the prepared tooth, allowing the patient to function comfortably until the permanent crown is made and delivered from the dental laboratory. The Crown is then inserted with the permanent cement and will be adjusted as necessary. A crown takes 1 to 2 weeks to be created by the dental lab and returned to our office for permanent insertion, a local anesthetic may be given during this appointment if necessary. When you look in the mirror, you will see your old smile back. Crowns are usually permanent restorations that will last 15 to 20 years or more. 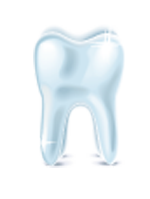 Crowns need daily brushing and flossing like other natural teeth. Call Dr. DePetris' office today if you would like to learn more about how crowns can help restore your smile and chewing capacity.